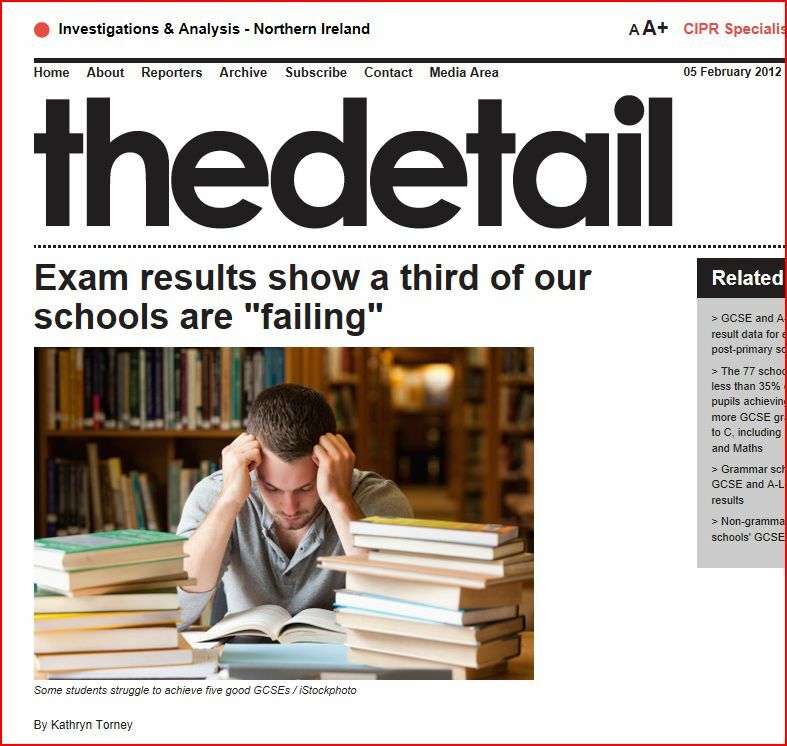 The Sunday Times today, 5th February, 2012 carried a front page headline: One-third of North Schools are “failing”. The paper was not referring to Donegal. After receipt of results from the 2012 11-plus tests from AQE and GL Assessment many parents will be anxious about the choice of school for their child. They may benefit from an examination of the performance of all post-primary schools at GCSE, rather than believing the flattering information given at open days. The important figure to examine is the standard 5+ A* – C (including English & Maths). Local media and the DENI have hidden behind the figures which exclude this important information but parents may feel that achieving competency in numeracy and literacy may not be too much to ask of schools after 12 years of compulsory ( and expensive) education. 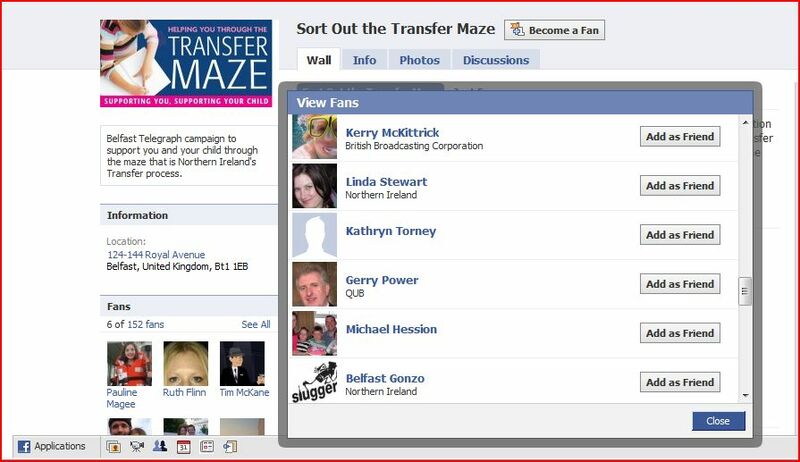 Kathryn Torney, former education correspondent of the Belfast Telegraph, and currently employed by the Atlantic Philanthropy funded TheDetail.tv authored the article but her qualitative “analysis” mainly refers to the opinions of educationalists with a long-standing anti-academic stance. None have solutions. One very disturbing detail: thirty five schools fall into a group in which only one in five pupils leave compulsory education with 5 A* -C GCSEs. 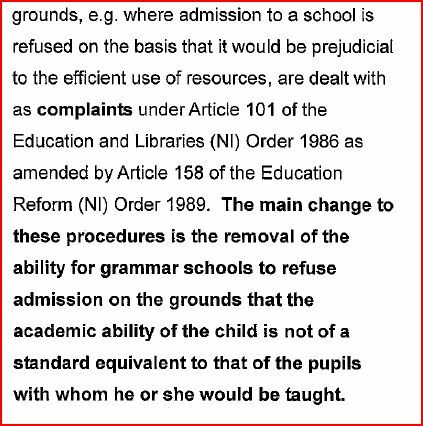 While the local media report on appeals surrounding grammar schools admission refusals, the Minister of Education and the Department of Education, Northern Ireland continue with their stealthy attempts to undermine the principle and practice of academic selection via testing. 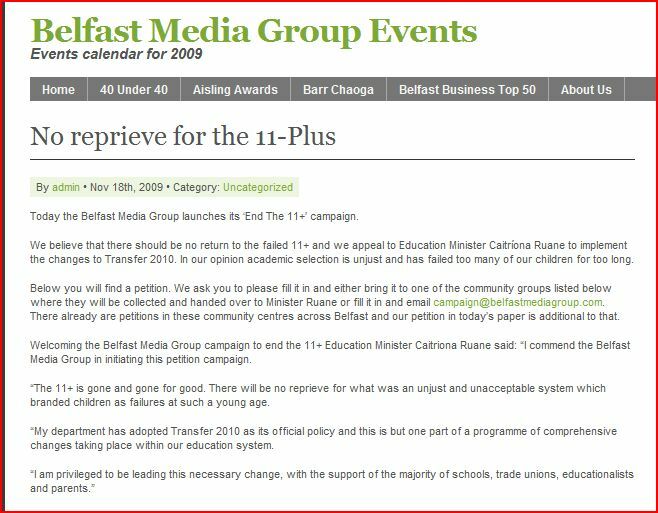 It should be noted by Belfast Telegraph readers that the education correspondent, Kathryn Torney failed to mention the DENI circular “procedures for admission complaints” in her “background” piece of September 17, 2010. One can only speculate whose interests she represents. When a grammar school can not select on the basis of academic ability by testing it is then a comprehensive school.